Part 1 - Trumpet. 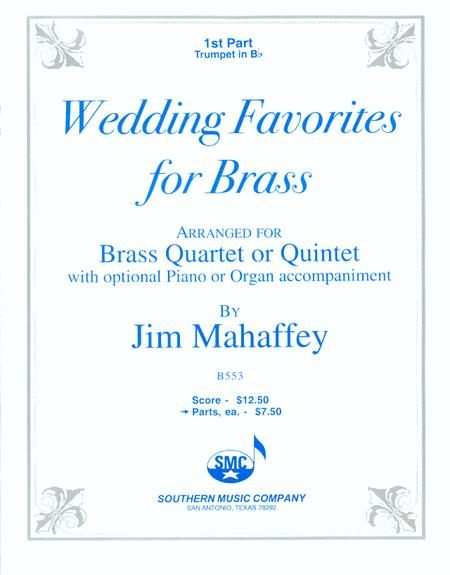 Arranged by Jim Mahaffey. 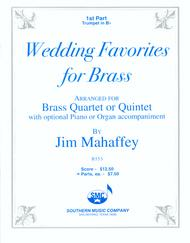 Brass Solos & Ensembles - Brass Quartet Or Quintet. Southern Music. Wedding and Classical. Performance part. With optional piano or organ accompaniment. 8 pages. Southern Music Company #B553PT1. Published by Southern Music Company (HL.3770895). June 27, 2007 Very nice overall!